Markus notes a number of relatively clear benefits of a working national system, such as reducing accidents by potentially as much as 95%, according to Bryant Walker Smith of the University of South Carolina law school. Other benefits: increased mobility for nondrivers, reduced fuel consumption, and intelligent driving patterns. On the other side of the coin, intelligent transportation systems could increase road use and congestion, reduce public transportation usage, and create an economic slump in, for example, auto repair services. But one of the most interesting questions regards the sharing of roadways between autonomous and driver-controlled vehicles: If there are far fewer accidents, there will still be accidents, but probably fewer insurers to cover them. Who is responsible when accidents happen? Who pays? 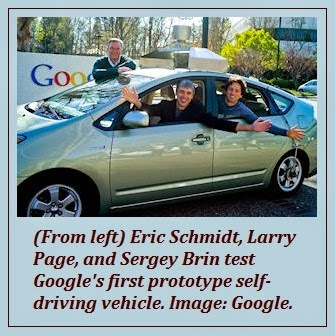 Rather than owners of autonomous vehicles taking out insurance (and paying premiums), would it fall on manufacturers to indemnify their products? One possibility is public/private special compensation funds to underwrite unintended consequences, such as how AI chooses to mitigate damage in an unavoidable accident. 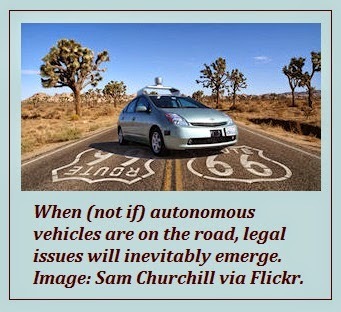 Owners of older, non-autonomous cars might be required to financially subsidize the rollout of presumably safer autonomous vehicles and road systems. Of course, manufacturers’ liability remains a toss-up in any court of law. Timothy C. Mack is the managing principal of AAI Foresight.